"This book provides an excellent conceptual framework for enabling parents and children to be creative together . . . 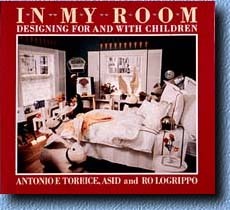 In My Room is a must for designers, architects and especially parents." 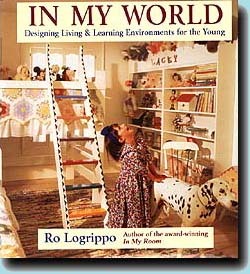 "One of the most important books on children's design - whether school, hospital or home - to be published in the past decade!" A Design Survey of 155 Day Care Sites Across the U.S.
"The research undertaken by the National Task Force on Day Care Interior Design is a groundbreaking body of work . . ."
Text or images on this site may not be captured and used for electronic publishing or other purposes. Use of any material requires the copyright holder Ro Logrippo's express written permission.